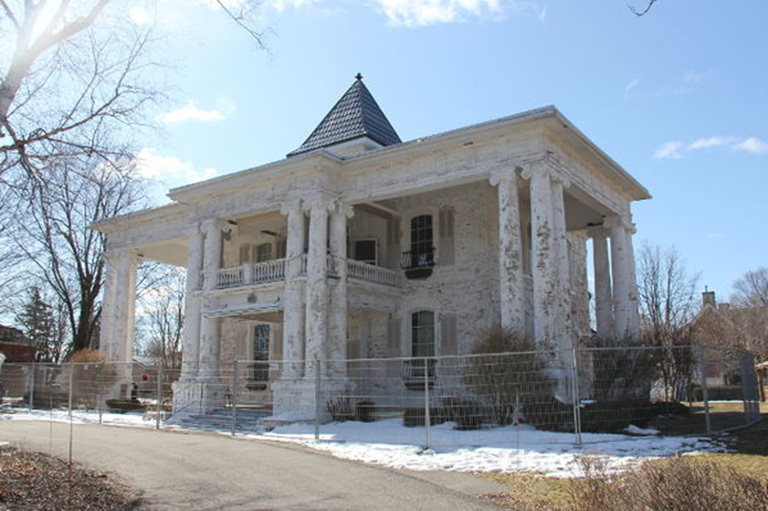 The “White House” in Stratford, Ontario, is on the 2018 Top 10 Endangered Places List. Built in 1866, this grand, landmark home is one of the best known houses in Stratford and has housed many prominent families. Its towering Southern-styled portico supported by 18 two-storey concrete columns (added in the 1920s) and its large, block-wide grounds are key features contributing to its civic renown.